View The Obituary For Duane Evan Johnson. Please join us in Loving, Sharing and Memorializing Duane Evan Johnson on this permanent online memorial presented by Bryant Funeral Home and Nicholson-Ricke Funeral Home. View The Obituary For Lucile Randall. Please join us in Loving, Sharing and Memorializing Lucile Randall on this permanent online memorial presented by Broadway Colonial Funeral Home. View The Obituary For Paul Francis Lindsay. Please join us in Loving, Sharing and Memorializing Paul Francis Lindsay on this permanent online memorial presented by Barnett Family Funeral Home. View The Obituary For Duane W. Klozenbucher. Please join us in Loving, Sharing and Memorializing Duane W. Klozenbucher on this permanent online memorial presented by Ward Funeral Home. View The Obituary For Catherine L. Wilkens. Please join us in Loving, Sharing and Memorializing Catherine L. Wilkens on this permanent online memorial presented by Ward Funeral Home. View The Obituary For Edward Conner. Please join us in Loving, Sharing and Memorializing Edward Conner on this permanent online memorial presented by Forbes-Hoffman Funeral Homes. View The Obituary For Deborah S. Prewitt. Please join us in Loving, Sharing and Memorializing Deborah S. Prewitt on this permanent online memorial presented by Forbes-Hoffman Funeral Homes. View The Obituary For Mary B Griffin. Please join us in Loving, Sharing and Memorializing Mary B Griffin on this permanent online memorial presented by Prairie Rose Funeral Homes. View The Obituary For Darrell L Ryan. Please join us in Loving, Sharing and Memorializing Darrell L Ryan on this permanent online memorial presented by Prairie Rose Funeral Homes. View The Obituary For Darrel Lee Becker. Please join us in Loving, Sharing and Memorializing Darrel Lee Becker on this permanent online memorial presented by Jones – Campbell Funeral Home. View The Obituary For Dennis R. Schrock. Please join us in Loving, Sharing and Memorializing Dennis R. Schrock on this permanent online memorial presented by Chaput-Buoy Funeral Home. TIPTON — Lorena M. Gronewoller, 95, of Tipton, passed away Thursday, March 14, 2019.Schoen Funeral Home and Monuments, of Beloit, is handling arrangements. 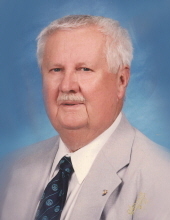 OGALLAH — Donald Paul Branine, 79, of Ogallah, passed away Friday, March 15, 2019.Schmitt Funeral Home, of WaKeeney, is handling arrangements. AXTELL — Lonnie M. Roe, 88, of Axtell and formerly of Belleville, passed away Friday, March 15, 2019.Tibbetts-Fischer Funeral Home, of Belleville, is handling arrangements.